EDINBURG — A construction company owner investigated by the Texas Attorney General’s Office for targeting Spanish-speaking consumers in a home building scam pleaded guilty Monday to theft of property of more than $300,000 in district court. Adelina Briseño, 41, who owns Mission-based Briseño Construction with her daughter, will return to court next week for her sentencing hearing. Her decision to enter a guilty plea was not part of a plea agreement with the Hidalgo County District Attorney’s Office. 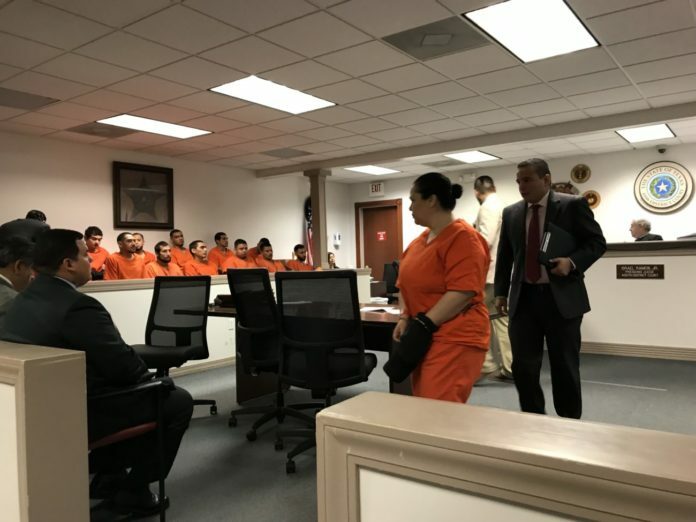 District Court Judge Israel Ramon Jr. will therefore determine her sentence for the first-degree felony charge, which carries five to 99 years, or life in prison. The only condition of Briseño’s plea agreed upon by her attorney, Rogelio Solis, and the DA’s office is that she will waive her right to appeal and that the DA’s office will dismiss the same property theft against her daughter, 23-year-old Alejandra Melendez. The mother-daughter duo scammed 48 people from November 2014 through April 2017, according to their indictments, and the AG’s investigation revealed Briseño Construction claimed in Facebook and Craigslist ads targeting Spanish-speaking consumers, many of whom would not qualify for a traditional home mortgage, that it could complete a new home in two to five months with no financing or interest. Prospective homeowners were required to make deposits of up to 60 percent of the asking price before construction began, and the company would delay or fail to complete the homes. The AG’s office sought a restraining order against the company in February 2017 to prevent it from taking advantage of future consumers. Briseño will remain in the custody of the Hidalgo County Sheriff’s Office until her Dec. 13 sentencing, per the judge’s order. Because she is not a U.S. citizen, Briseño may be subject to deportation as a result of her guilty plea.